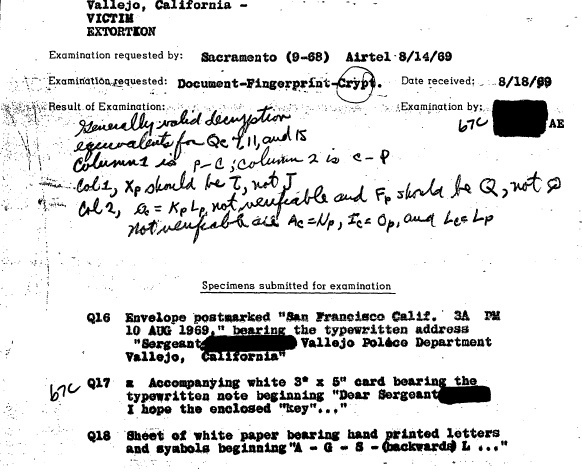 "A little-known letter containing a key to the cryptogram was sent anonymously to the Vallejo Police on August 10, one day after the Harden solution was made public. 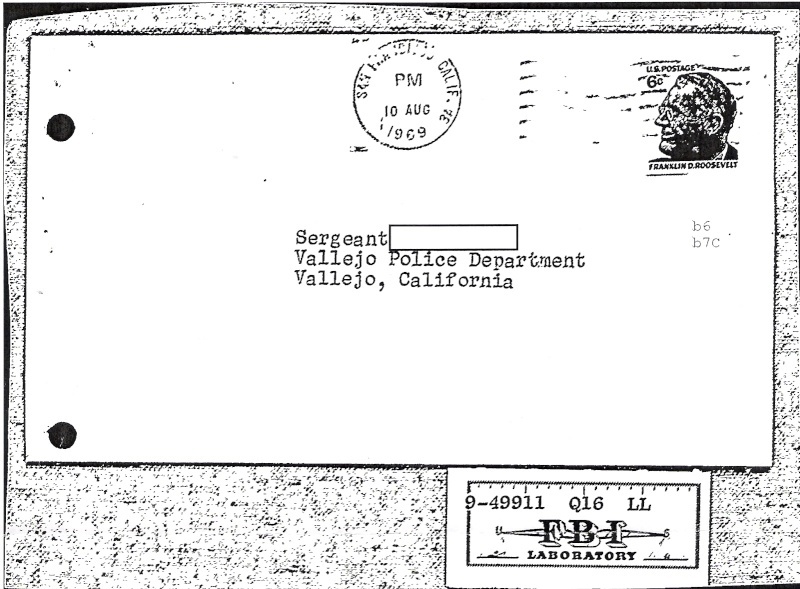 It was postmarked San Francisco, and the typewritten address was to a VPD sergeant. 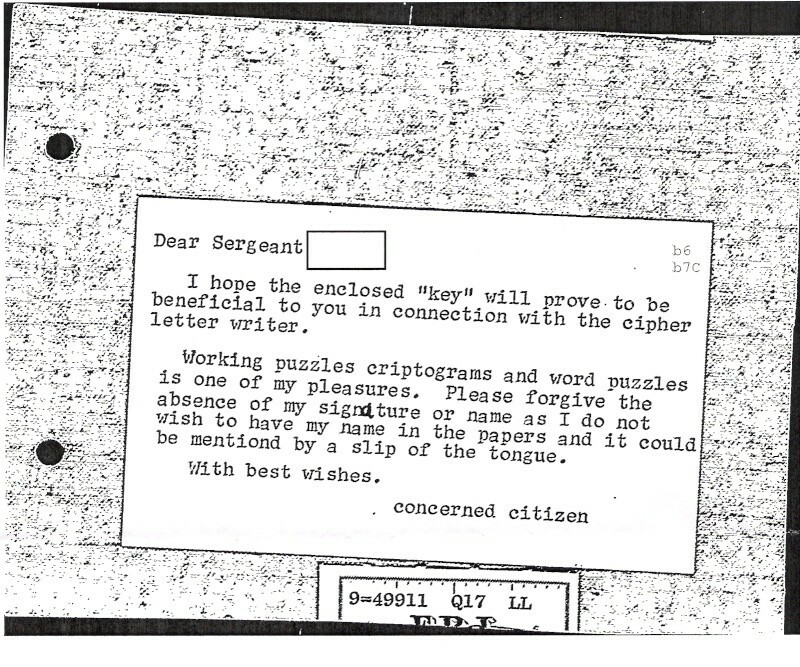 The key was handwritten on a sheet of white paper, and was accompanied by a short typewritten note on a 3x5 index card expressing hope that "the enclosed key will prove beneficial to you in connection with the cipher letter writer." It was signed " concerned citizen." 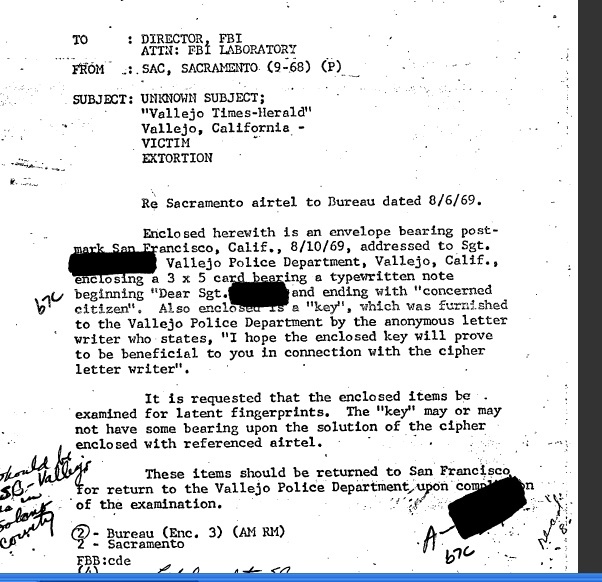 The key was described in an FBI report as "generally valid" and "substantially accurate", but this is unsurprising since the author probably read the decryption in the newspaper and simply made his own key letter by letter. 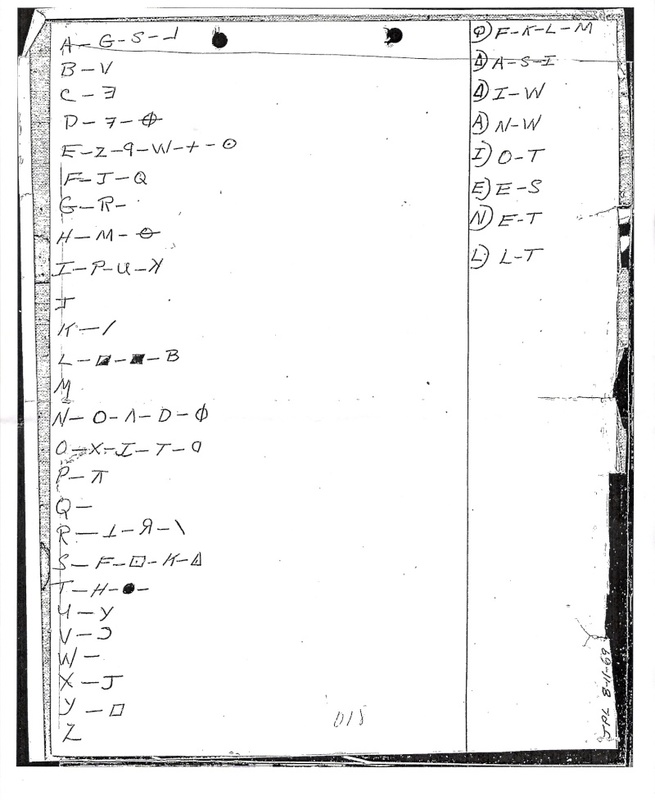 One useful palmprint was found on the envelope, but it was never matched to any individual."